Buy the The Konjac Sponge online at Boozyshop, the makeup webshop that makes online cosmetics shopping fun! Konjac sponges have been used in Asia for decades to cleanse the skin. Now also in the West the konjac sponges are becoming increasingly popular! The sponges remove make-up water-based and dead skin cells without peeling or scrubbing! It is therefore very soft for your skin! The Konjac Sponge Company works in a fair trade way and all sponges are made by hand. The perfect sponge for every skin type! You do not have to apply an extra face wash or cleanser to the sponge as pure sponge alone is enough. But if you want, you can also use it with a cleaning product. 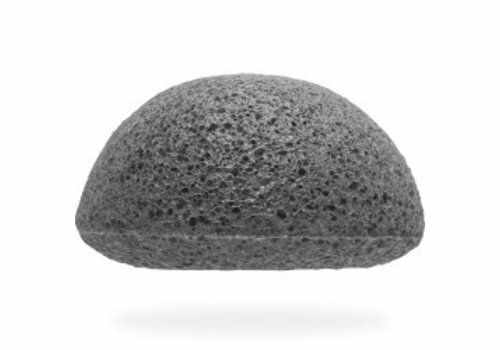 The Konjac sponge is 100% natural, so without the addition of colors and fragrances. It is safe for the environment, biodegradable and gentle for your skin. And thus also 100% cruelty free and vegan!